You still need Wi-Fi to use Chromecast, but this cheap power adapter can help deal with dead zones. Google has released a $15 ethernet adapter for its Chromecast TV dongle, helping users stream video in places with unreliable Wi-Fi. 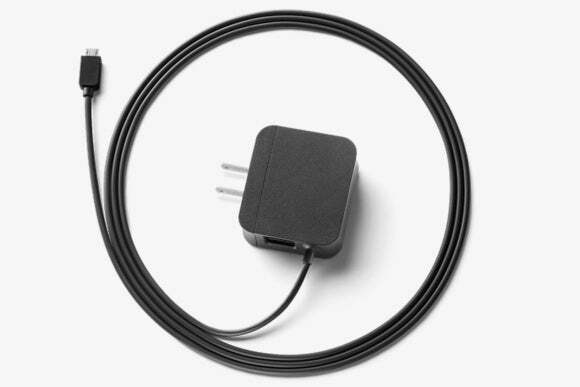 The ethernet jack is built directly into the adapter’s power supply, which then connects to the Chromecast via USB. It offers a 10/100 Mbps connection, which should be enough for streaming music and video. Chromecast is a $35 device that plugs into a TV’s HDMI slot, and lets people launch streaming music and video using the apps on their phones and tablets. Supported apps like Netflix and Hulu will display a “Cast” icon when they’re on the same network as Chromecast, so users launch videos with just a couple taps. Some desktop websites also support Chromecast through Google’s Chrome browser, and Chrome users can mirror any open browser tab as well. Google’s ethernet adapter went on sale Wednesday, and quickly sold out. Just as Google hadn’t anticipated high demand for Chromecast when it launched nearly two years ago, it seems the company didn’t realize so many users would want a steady, wired Internet connection for streaming video. Why this matters: Even with the adapter, users still need Wi-Fi to control the Chromecast, as phones and tablets must send playback instructions to the dongle over a wireless network. But that connection doesn’t need to be as fast or reliable as the one on the Chromecast itself. The ethernet connection should help address Wi-Fi trouble spots, especially when paired with a powerline ethernet adapter.